Jason Hartman starts today’s episode from Germany, on his way back to the land of capitalism, and he couldn’t be happier. After nearly a month in Europe seeing the effects of socialism, Jason’s ready to get back to the land where people are more motivated and innovation is more apparent. When governments get involved in picking the winners and losers, nothing good comes out of it, and Jason wants to see America avoid the fate of Europe. 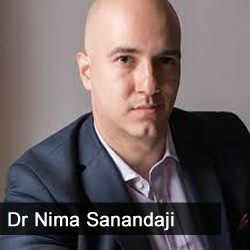 Then Jason finishes his interview with Dr. Nima Sanandaji, originally begun in episode 1028. The two wrap up the interview discussing where the ideas for Adam Smith’s “Invisible Hand” really came from, how the Nordic society actually ended up being socialist (and why it doesn’t work in the places it’s being tried now), and the dangers of government growth. [11:36] Capitalism: the most successful “religion” of all time?